Skyjack have just unveiled their newest product at The Rental Show in New Orleans, Louisiana. The company attended the largest rental show in North America earlier this week and brought with them the SJ519 TH – their first compact telehandler. This new product offers a 5,500 lbs (2,500 kg) lift capacity and a maximum lift height of 19.1 ft (5.82 m). With a fully opening door operators can access their cab with ease. At its maximum reach of 11.25 ft (3.44 m) the SJ519 TH can still lift a rated load of 4,400 lbs (2,000 kg). 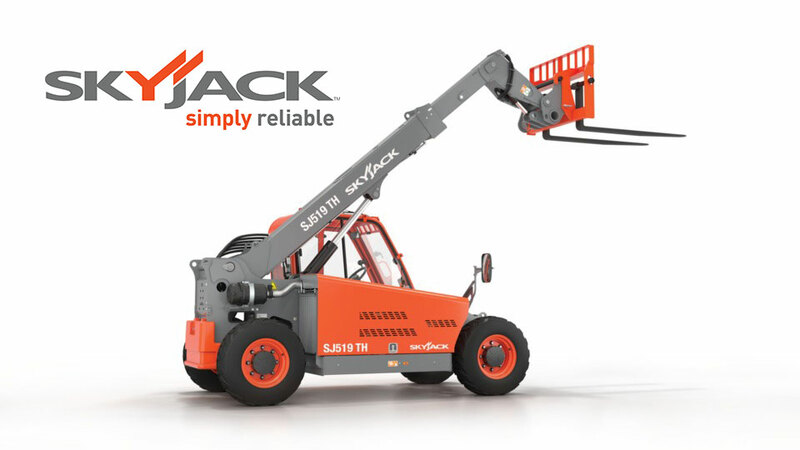 All major service points are easily accessible, and it’s the attention to serviceability detail in the design of this product that further emphasizes Skyjack’s easy to do business with attitude. “When we started the design phase for this product we knew we wanted to maintain similar features with our existing telehandlers. It’s Skyjack’s consistency across products that adds to simplicity of service, and decreased downtime for our customers,” asserts Greenaway. Skyjack are now taking pre-orders, the SJ519 TH will be driving onto rental yards Q3 2018. Click here for more information on this exciting new addition to Skyjack’s telehandler lineup.